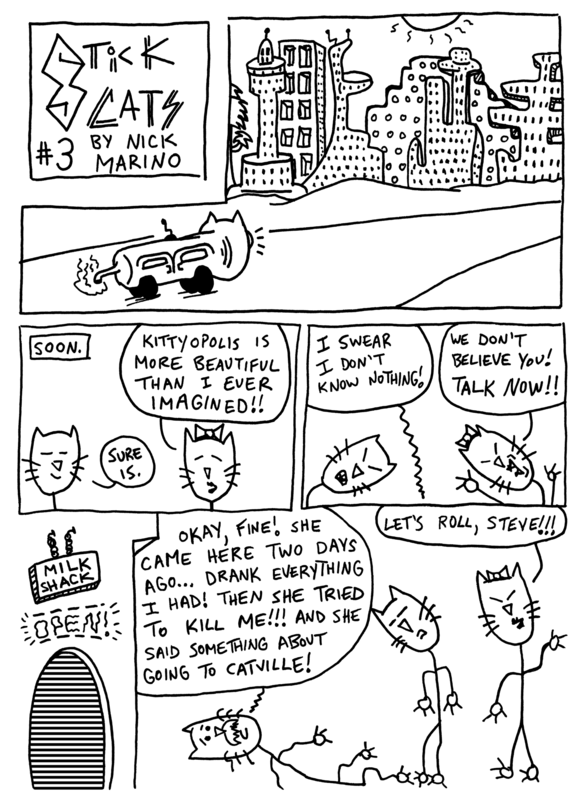 Previously in Stick Cats: Steve and Marmalade got themselves into peak physical form so they could take down the Octo-Kitty. Then Marmalade informed Steve that the beast was last spotted in Kittyopolis!!! 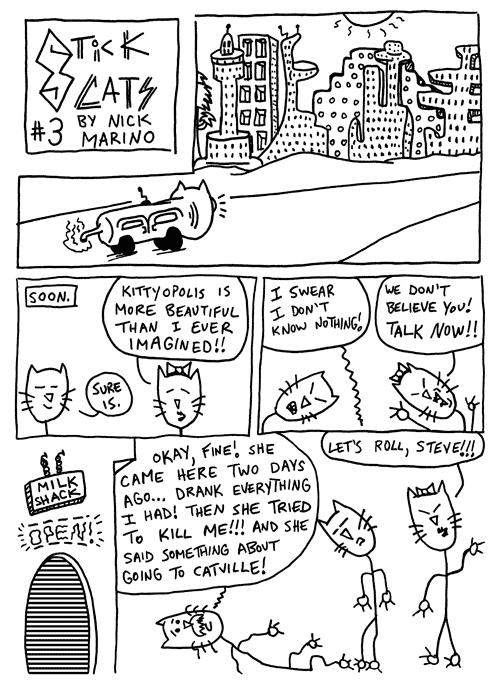 Astute Stick Cats sleuths may notice a few differences between the finished version of Stick Cats #3 seen here and the Stick Cats #3 teaser I posted on Monday. The reason I made those changes? Just to @#$% with you.